They Made WHO a VMware vExpert? All kidding aside, this feels like a weight off my shoulders and a bit of a validation of all of the work that I’ve done both with my job and outside of it to help promote VMware solutions. We haven’t always seen eye-to-eye on things, and there have been harsh words spoken at times, but they’ve never stopped offering the most complete, most functional virtualization and management solution on the market, and I’ve never stopped advocating those solutions to Service Providers large and small. 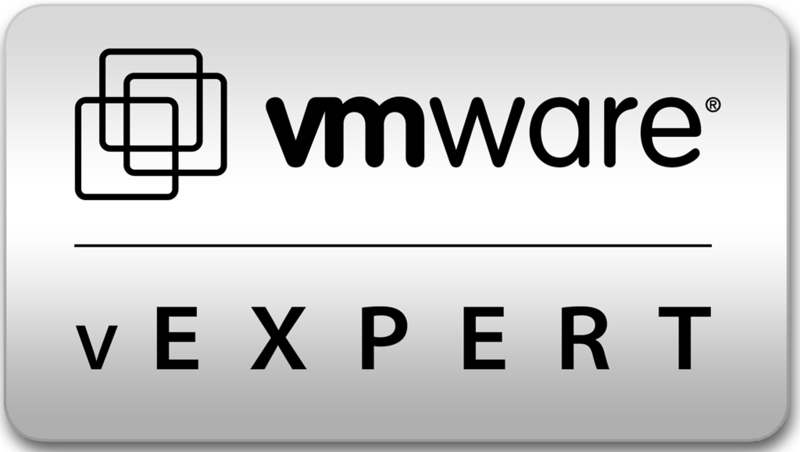 As a customer, then a reseller partner, then a vCloud partner and now as part of a joint venture, VMware has always impressed me with their technical aptitude, willingness to take risks and rate of innovation. It’s hard to be as far ahead as they have been for the last few years and still continue that leadership at a consistent rate. There’s always gaps, and I’d definitely like to see more input from customers and partners around pricing models (yes, I’m talking about you, VSPP) but that doesn’t take away from the product being created at all. The part about VMware that has surprised me the most, however, has been the community. You expect them to employ the smartest guys on the block, and they certainly do, but there’s such an incredible amount of energy, competence, enthusiasm and camaraderie between the people who buy, use, architect and resell VMware products. It’s almost unbelievable the way people champion this company, and the caliber of people is impressive. I’m definitely humbled to be included, and I appreciate all of the efforts that John Troyer and his team have made putting this program together. I promise to try and go an entire year without making anyone too mad at me, while at the same time providing value as a conduit between service providers and VMware!